Concussion protocols in France have been toughened up for the forthcoming season with the French Rugby Federation (FFR) imposing sanctions on teams who are found to have misdiagnosed concussed players. 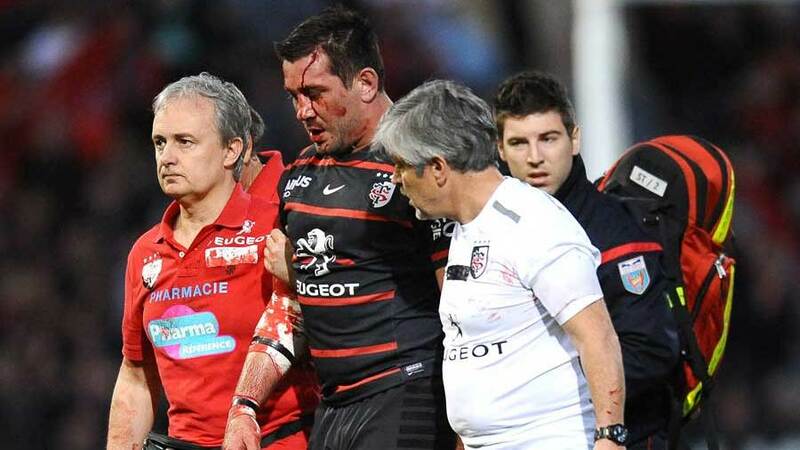 The news comes in the wake of the Florian Fritz incident in last season's play-off between Racing Metro and Toulouse. Fritz received a knock to the head in the first-half and was forced off. Despite showing all the signs of a concussion, he reappeared minutes later and attempted to play on but was soon substituted. The incident provoked outcry throughout the game and Jean-Claude Peyrin, president of the FFR medical commission, was angered by it. "The next day I had an email from the medical director of the International Rugby Board asking me what was going on in France," Peyrin said. "The president [of the FFR] Pierre Camou also called me from Senegal." To prevent such a repeat, the FFR has brought in some new sanctions. Any team who is found to have misdiagnosed a concussion will have an independent doctor imposed on them for the second-half of the Top 14 season. They will pay the wages and costs of the doctor. Workshops have also been brought in for team officials and the various medical staff on the guidelines for concussion diagnosis. Ligue Nationale de Rugby (LNR) is currently conducting an investigation into the incident but regardless of the outcome, there will be no punishment but Peyrin is hopeful there will not be such a repeat of the incident this season. "For the past two seasons we have along with the LNR co-financed a study with observers who watch all the matches on video and note down the incidents," Peyrin said. "From this we realised that in spite of training sessions that we have held for a while now, team doctors have not been effectively applying our guidelines." Reports from AFP say according to the study's figures, there were 18 wrongly diagnosed cases of concussion last season.